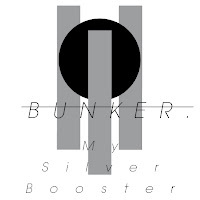 My Silver Booster are an experimental/ambient/post-rock band that create cold and slow minimal electronic tracks, straight from Italy. They formed in 2006, and released their first LP ‘Pane e Paranoie’ in 2007, and followed it up with Ambient Punk in 2008. They are a 3 piece, with a 4th member enrolled only to make the visuals and videos for their live shows.